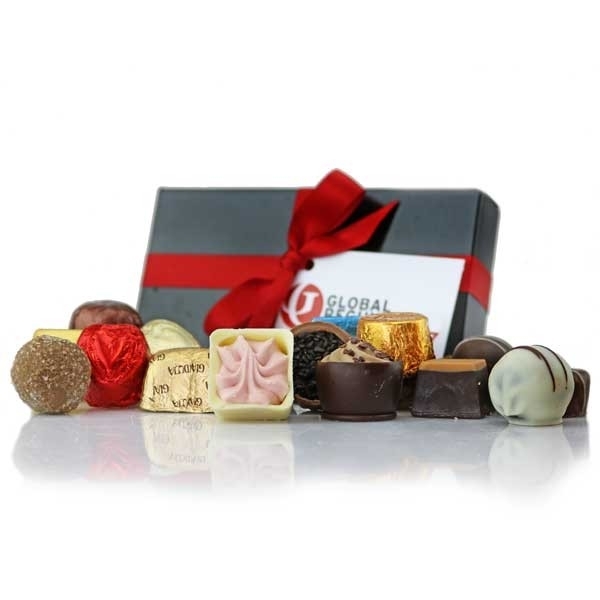 There's a superb selection of delectable chocolates and truffles to decide from in this gorgeous 8 choc box. Choose from an array of luxury milk, white and dark chocolates presented in a luxury black box with your choice of ribbon to finish. Add a personalised swing tag with your logo/artwork and/or message to maximise your branding.